Are you looking for a chemical free clean for your hard floors? You’re in the right place. Say goodbye to steam cleaning as you know it. 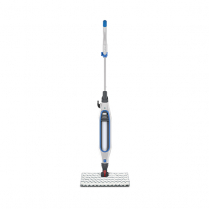 With Shark steam mops, we deliver you the confidence to clean and sanitise your home using water alone. No more chemicals, no more dirty floors.